Supporting and developing the arts teaching workforce of classroom teachers, teaching artists, and arts education leaders. 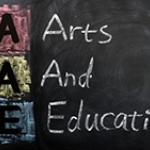 Presentations: The AIE Coordinator gives talks about the Arts Education Program, grant writing, and Arts Education resources (local, statewide, national) to faculty, school boards, PTO’s, organizations, and anyone interested in the benefits of having strong arts programs in schools. If passed, the ballot question would have allowed Massachusetts’ Board of Elementary and Secondary Education to approve up to 12 new charter schools, or expand enrollment in existing charter schools, by up to 1 percent of statewide public school enrollment every year, starting in 2017.